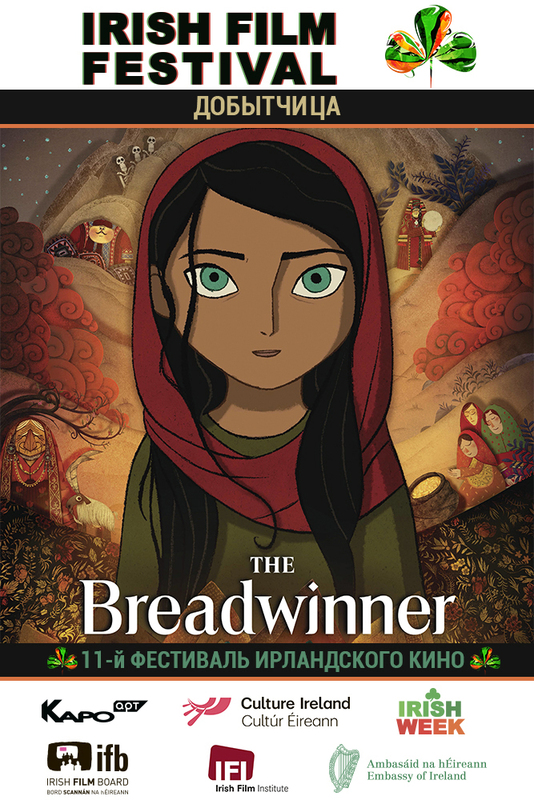 The Breadwinner is an animated film by Cartoon Saloon directed by Nora Twomey and executive produced by Angelina Jolie. Based on the best-selling novel by Deborah Ellis, the film was an international co-production between Canada, Ireland, and Luxembourg. The story follows Parvana, an 11-year-old girl who is growing up in Afghanistan in 2001. When her father is wrongfully arrested, Parvana cuts off her hair and dresses like a boy in order to support her family. Working alongside her friend Shauzia, Parvana discovers a new world of freedom-and danger. With undaunted courage, Parvana draws strength from the fantastical stories she invents, as she embarks on a quest to find her father and reunite her family. Equal parts thrilling and enchanting, The Breadwinner is an inspiring and luminously animated tale about the power of stories to sustain hope and carry us through dark times. The film had its world premiere at the 2017 Toronto International Film Festival in September. The Breadwinner received a nomination for Best Animated Feature at the 90th Academy Awards.